London, January 12, 2016 – International liver cancer guidelines could be preventing patients from getting life-saving treatments in developing countries, according to a new study published in the journal Heliyon. The authors of the research are calling for treatment guidelines that are more tailored to developing countries, to help save lives. Hepatocellular carcinoma is the most common type of liver cancer, accounting for approximately 75% of all primary liver cancer cases. Globally, it causes 745,000 deaths a year, making it the second most lethal cancer in the world. In developed countries, it most often occurs in middle aged and elderly men following a long-standing chronic liver disease. There are guidelines doctors can follow to decide which treatments to give patients, based on how far progressed their cancer is and other factors. These guidelines were made by clinicians in countries like the US, Spain and Japan. However, 83.6% of the deaths caused by hepatocellular carcinoma occur in developing countries, where the disease can be very different. In Peru, most patients don't have cirrhosis and in general they are young – young adults, teenagers, and even children. If doctors use the guidelines in developing countries like this, patients are often considered incurable when in fact treatment would be successful. 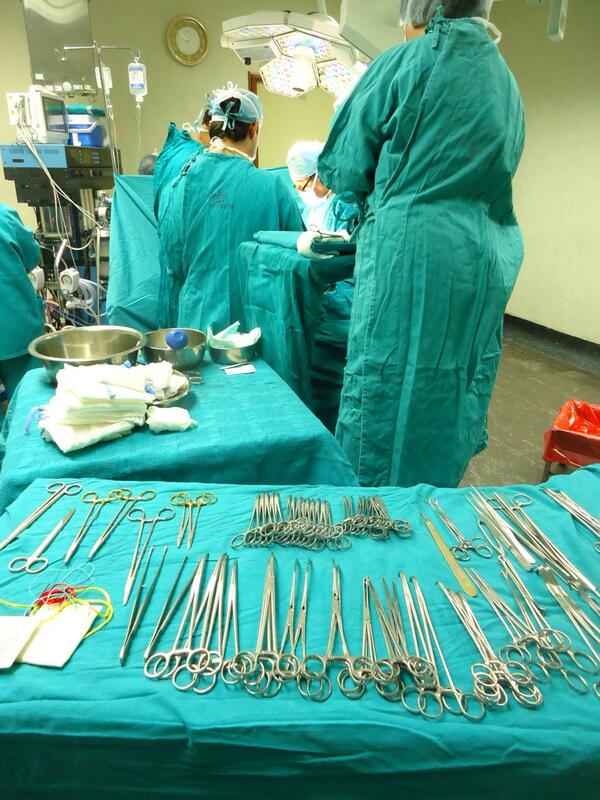 In a new study, researchers from France and Peru show that a portion of patients in Peru who would otherwise be rejected according to the current guidelines could be saved with an operation. Treatment guidelines called the Barcelona-Clinic Liver Cancer staging system is currently the most widely accepted in the world for hepatocellular carcinoma, and is used by the European Association for the Study of the Liver and the American Association for the Study of Liver Disease. The system was devised based on extensive data from developed countries. However, patients in many developing countries are often poorly documented, being among the most deprived people living in remote areas. So their cases are not taken into account by the clinicians who develop the guidelines. According to these researchers, there is some evidence indicating that cancers in the developing world differ from the types observed in industrialized countries more widely. They claim that more knowledge of those cancer variants will eventually lead to better cancer management in the developing world, they say. "Our fear is that the situation in Peru is not an isolated one," said Dr. Stéphane Bertani, one of the authors of the study from Institut de Recherche pour le Développement and Université de Toulouse, France. "Far too often, practitioners from developing countries have a tendency to rely on the medical flowcharts created in developed countries. We hope our findings help cancer care professionals in developing countries rethink their approach to liver cancer management," said Dr. Eloy Ruiz, first author of the study from the National Cancer Institute of Peru. The researchers used molecular and epidemiology techniques to understand the disease better in the context of Peru. This included studying 253 hepatocellular carcinoma patients who had an operation called a hepatectomy that cured their cancer between 1991 and 2011 at the National Cancer Institute of Peru. Many of the patients had advanced disease, so would not have qualified for the operation according to the guidelines. But a number of them did survive, suggesting that the guidelines are not adequate for use in Peru and possibly other developing countries. "There is an urgent need for the professionals working in developing countries to share medical information directly without relying on the usual channels like journals and conferences dominated by the northern hemisphere" said Dr. Pascal Pineau, one of the authors from the Institut Pasteur, France. "Guidelines should always be evidence-based, and that evidence needs to be built up in developing countries. Peruvian liver specialists should re-examine the situation and, if necessary, develop new and more appropriate therapeutic guidelines providing a better chance of survival to local patients." "Hepatocellular carcinoma surgery outcomes in the developing world: A 20-year retrospective cohort study at the National Cancer Institute of Peru" by Eloy Ruiz et al. (http://www.heliyon.com/article/e00052/). The article appears in Heliyon (January 2016), published by Elsevier. Heliyon is an open access journal from Elsevier that publishes robust research across all disciplines. The journal's team of experts ensures that each paper meeting their rigorous criteria is published quickly and distributed widely. Led by Dr. Claudia Lupp, the editorial team consists of over 600 active researchers who review papers on their merit, validity, and technical and ethical soundness. All published papers are immediately and permanently available on both Heliyon.com and ScienceDirect.